The above products are recommended for installation or mounting of the 6010 45 deg Mitered Handrail. 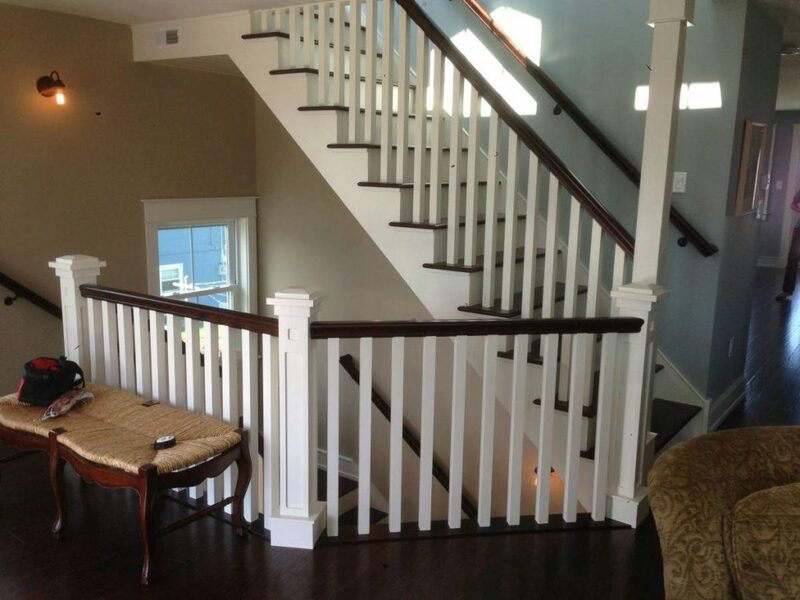 6010 Colonial Handrail is 2 1/4” at its widest point & 2 3/8” at its tallest point. The 6010 is the industry standard, and is used in more stairways in North America than any other handrail. 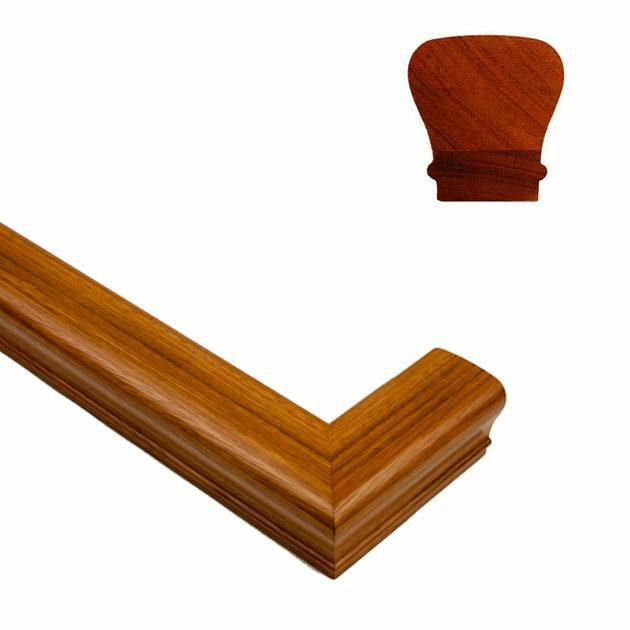 6010 handrail has a soft profile that is easy to install and easy to use with fittings. Which brackets should I use with this product? What reach should they be to ensure a clean installation? You can select whichever bracket style you like best. We oversize the mitered returns in order to ensure that you have enough room for them to be cut down on the job site to match the projection of whatever bracket you select. We oversize the mitered returns so that you can cut them down on the job site. That way you can ensure that the handrail meets code, and that it works with whatever handrail brackets you get. For all of the listed lengths, is this dimension an overall dimension (i.e., total length including the width of the return handrail) or is it to the centerline of the return section? 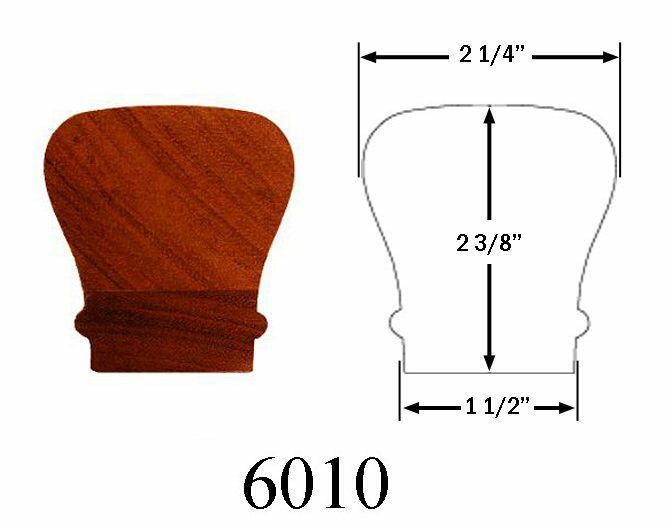 For the later, this would mean that a 3′-0″ piece would be a total dimension of 3′-2 1/4″ rather than a total length of 3′-0″). I have a tight section I need to fit this in so I certainly want it to fit but don’t want it to be too under sized. The listed dimension will be a guaranteed minimum of just the length of the handrail. This dimension does not include the mitered return. Thanks for the question Norm. An 8′ rail section would be 8′ at the longest edge of the mitered ends.